The drug is only one component of a psychedelic session. Equally important is the mental and spiritual preparation, both before and in the course of taking the drug. The authors find no need to invent new mental and spiritual materials for this purpose. The great literature of meditation lends itself very well to this use. Thise manual uses material from The Tibetan Book of the Dead for this preparation. 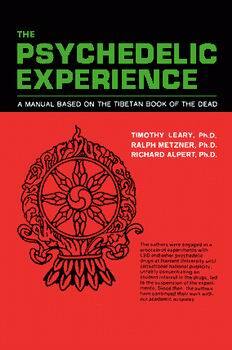 The authors also make an important contribution to the interpretation of the Tibetan Book of the Dead. They show that it is converned not with the dead, but with the living. The last section of the manual provides instructions for an actualy psychedelic session, under adequate safeguards.